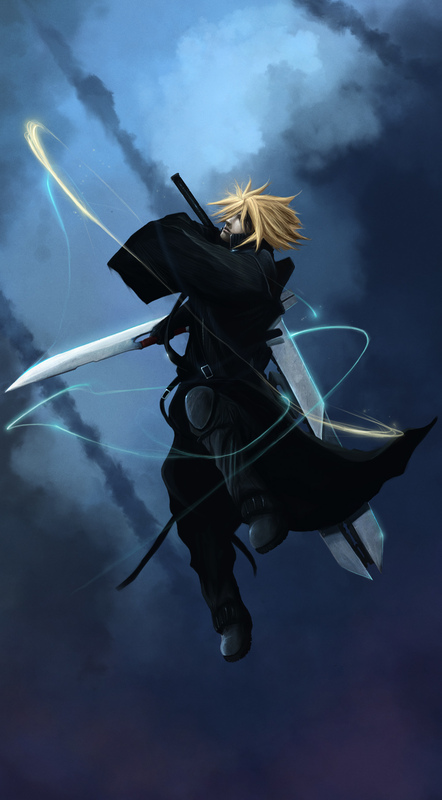 I give you an artwork of Cloud Strife of Final Fantasy: Advent Children, showing him as he dual-wields two of the swords that he used in the said movie, all the while rising through the air in a manner reminiscent of his finishing strike against a summoned Bahamut. This is a really good image of him! I haven't seen one like it. Thanks so much for sharing it with us! This picture of CLoud is awesome! Thanks so much for sharing! cloud is the best ! Ooh, interesting picture! Thanks for sharing it! nice one! thank you so much for sharing!